Happy Thursday everyone! I am always so excited to see what everyone has to share each week. Now that summer is officially over, I would love to see your fall-themed recipes, projects & ideas but, as usual the sky is the limit for what you would like to share, so long as it is budget-friendly! Finally, please link back to this post somehow. There are badges available here; a simple text link is just fine too. That’s it! 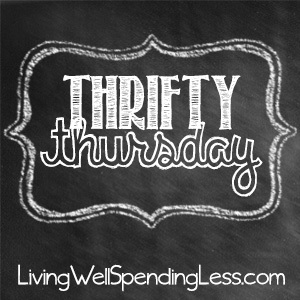 Feel free to tweet about Thrifty Thursday so others can join the fun, and don’t forget to check back here Sunday morning to see which posts have been featured this week! 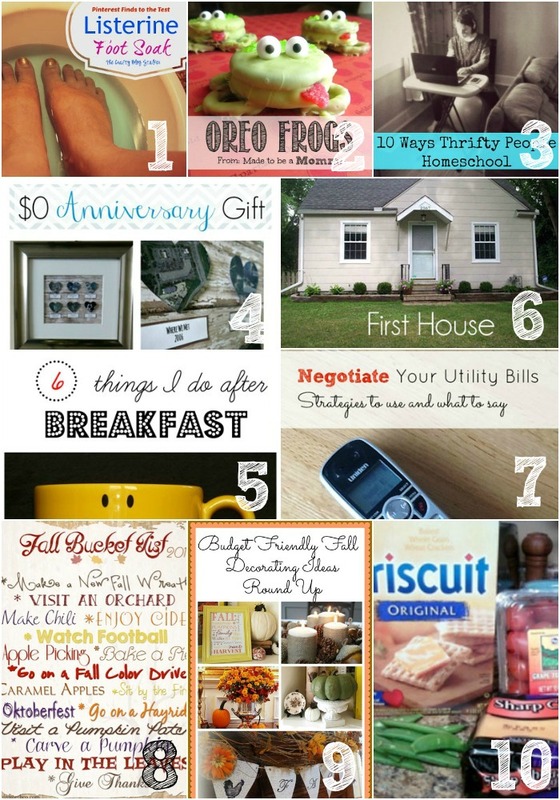 Oh I can’t thank you enough for featuring my fall bucket list. I truly appreciate it Ruth!! Thanks so much for hosting! Hope you have a fantastic day! Thanks for hosting this fun party and for the oreo frog feature! It’s still so warm here I haven’t really thought about fall yet but, know I will have to soon get in gear with those projects… thanks for hosting – I always enjoy all the projects posted here….